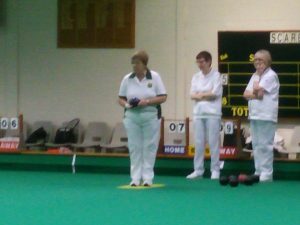 We hosted this game which provided some great bowls, and very competitive, it finished with a close result Durham 108 Lincolnshire 107. 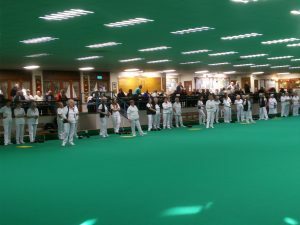 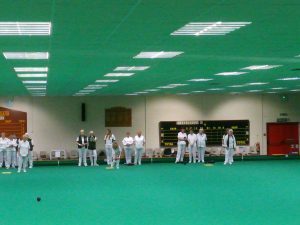 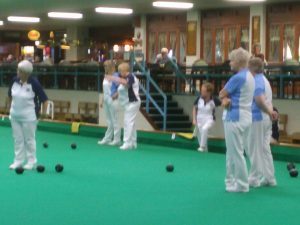 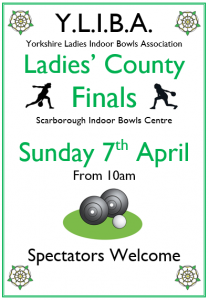 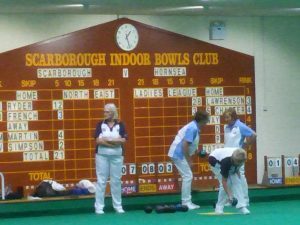 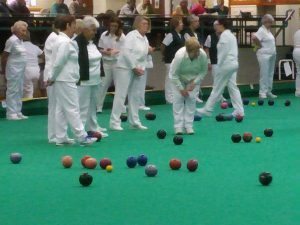 With the new Indoor Bowls season under way Scarborough North Eastern Ladies Team started their campaign with a game against Hornsea Ladies. 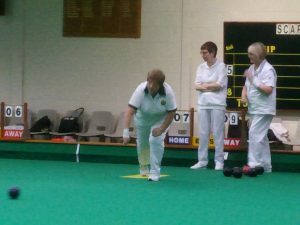 A good game was enjoyed by both teams, making for a tight game. 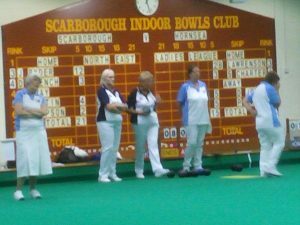 Scarborough Ladies came away with 6 points to Hornsea’s 4 making it a first win this season. 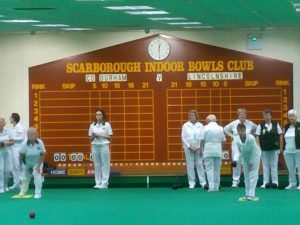 We are now looking forward to the first Yorkshire Ladies game on 28th October.